Taking notes is a fundamentally important task, especially for students. However, most powerful notepad/notebook apps lock you into their platform. Î¼Pad (MicroPad) is open source and free. It uses a simple file format (which has an open-source parser) and can export to markdown-formatted plain text. Note-taking is a very different task to document-writing, and being restricted to a vertical page limits you. 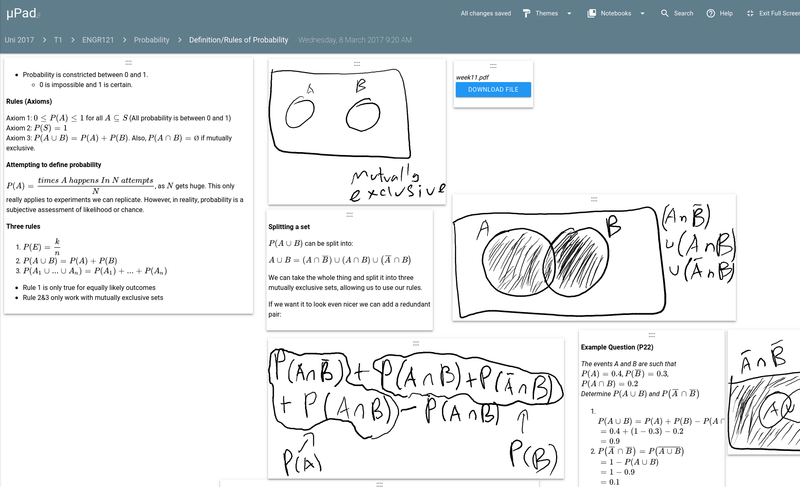 We think taking notes is better on a whiteboard than on a lined sheet of paper. 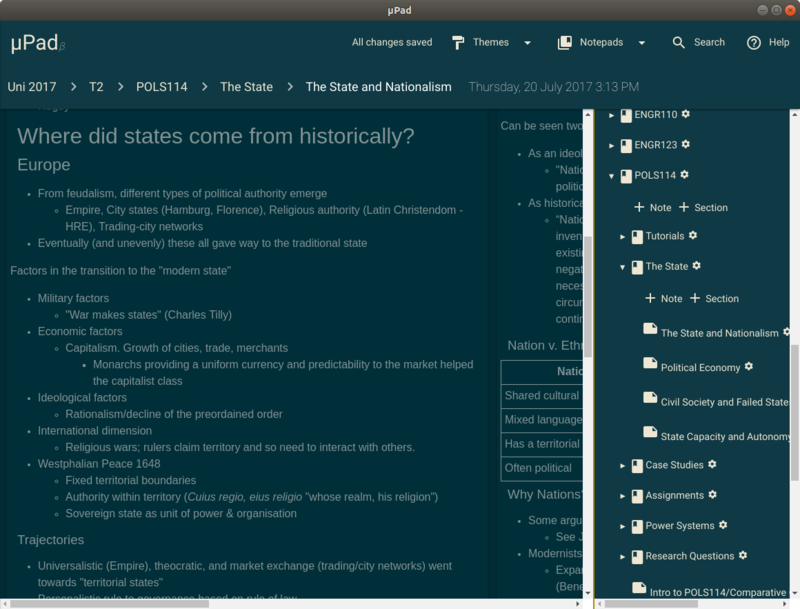 Î¼Pad provides an infinite canvas for your ideas, letting you structure your thoughts as you please. The web-client works on any modern browser + the app works on Windows, macOS, and Linux. Î¼Sync is built right into Î¼Pad providing a complete and seamless experience. Î¼Sync will keep your notes in sync across all of your devices quickly and securely with server-side AES-256 encryption. You can also use client-side encryption for seamless end-to-end security and privacy. 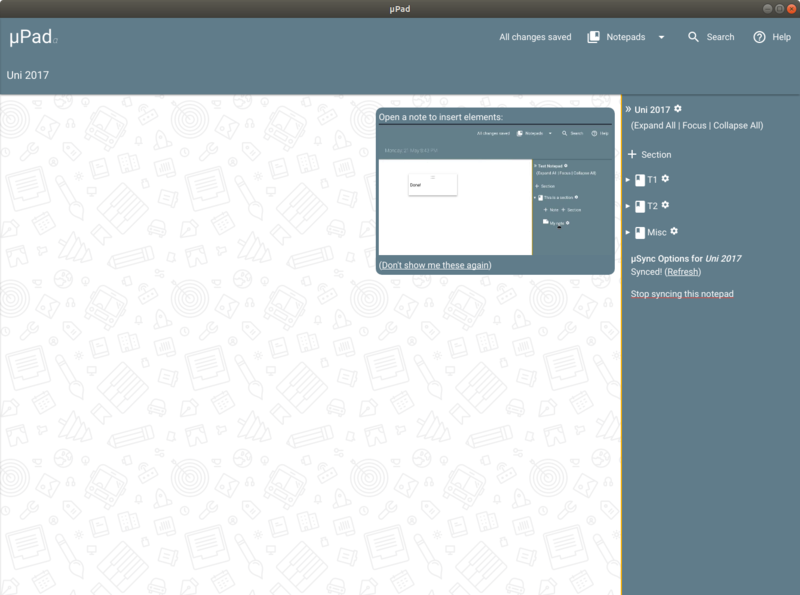 Export your notes to the enex format, and they can instantly be uploaded and imported into Î¼Pad. 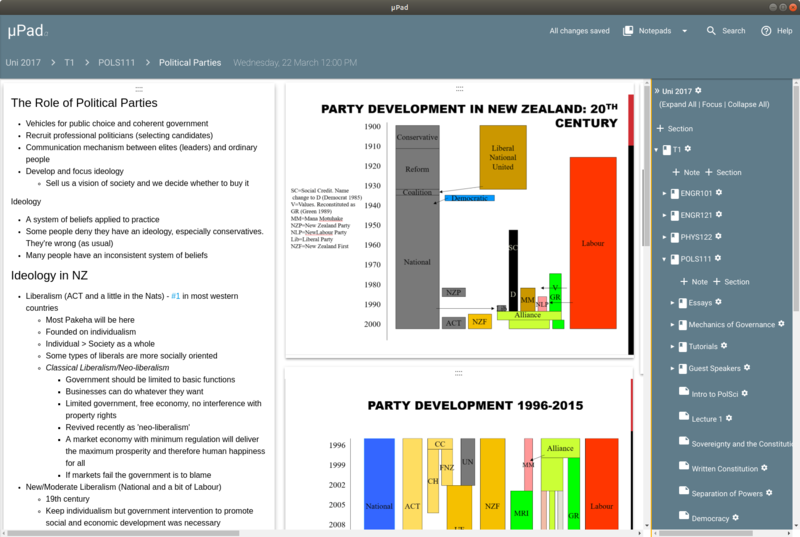 Notebooks can hold unlimited sections, and every section can have notes and other sections in it. This allows for a notepad that can handle anything from planning lunch, to planning the development of an open source notebook app ðŸ¤”. 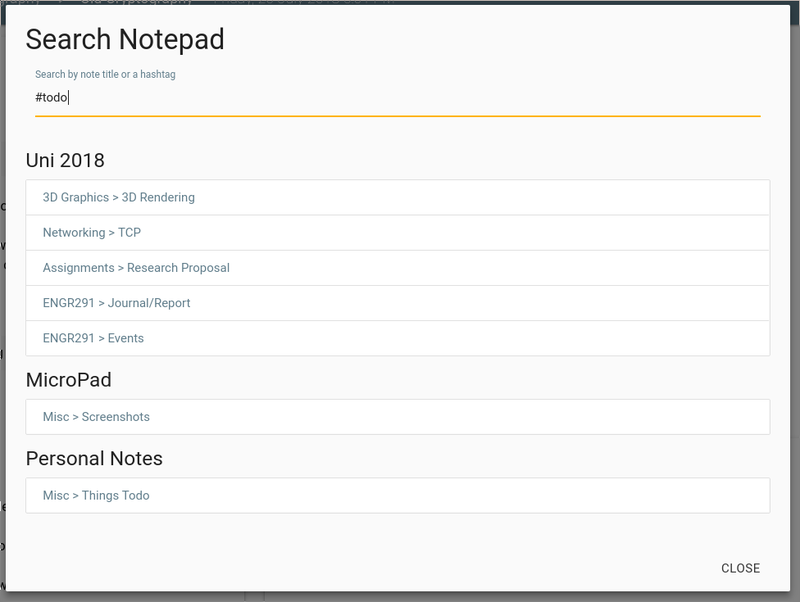 If you put a simple "#todo" in a note, MicroPad will automatically link it to all of the other notes that also have "#todo" in them across all of your notebooks. This makes searching and tagging for notes super easy. On every element in a note you can assign a due-date. 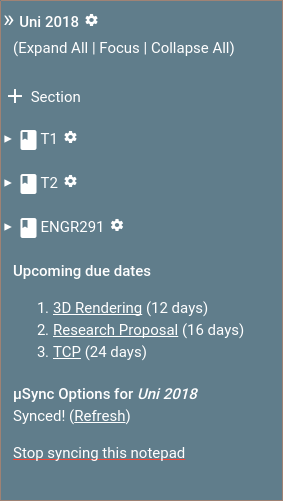 In the side-bar, a quick overview of all of your due-dates makes sure you don't get a nasty shock. Markdown is a way to format text without having to lift your hands off of the keyboard. 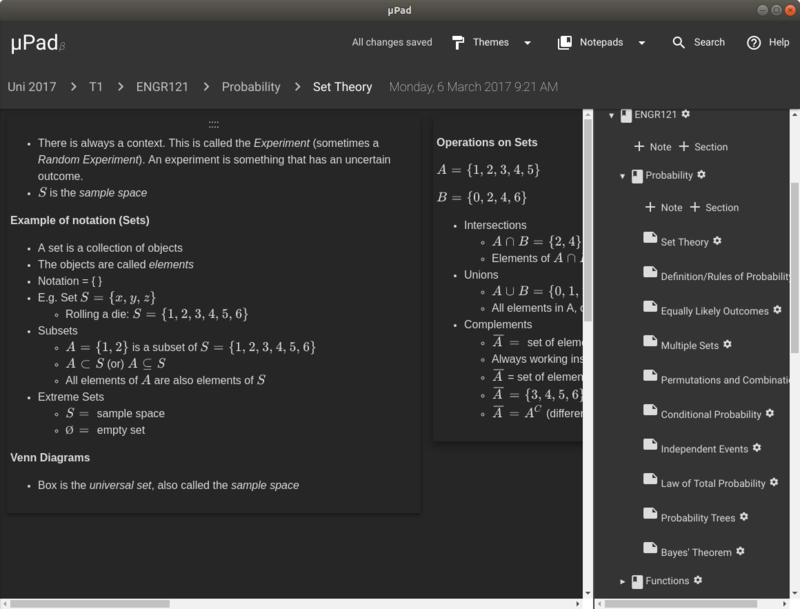 This standard is built right into Î¼Pad with helpful additions like: mathematics, todo lists, and tables. Your notes are your notes. MicroPad lets you keep your privacy with AES-256 client-side encryption. Note: You may get a warning from Windows, this is a common warning with open source software on Windows, the install file is safe.